Paint your wall with the satin color paint. Let it dry completely. Dip the top of the natural sponge in the semi-gloss paint. Dab the sponge to the wall over and over. It’s OK to overlap the paint in areas and you aren’t going to completely cover the wall. Once dry, the satin paint will show from beneath the semi-gloss paint creating a neat shine effect. These simple and subtle paint techniques will make your walls beautiful. 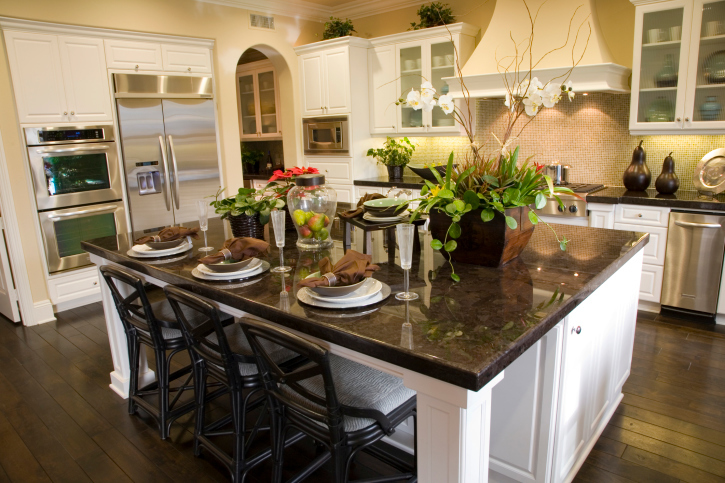 This is especially useful if you plan to sell your home and want to increase its value. Visit a trusted real estate agent for more information on simple ways to make your home more inviting to potential buyers. Case-Shiller Home Price Index reports for November indicate that home price growth continues to slow. The 20-City Home Price Index dropped by 0.20 percent to November’s reading of 4.30 percent year-over-year. There were no instances of year-over-year depreciation in home prices for the year-over-year readings, but month-to-month readings indicated that slower momentum in year-over-year home prices is producing negative home price readings on a month-to-month basis. First the good news; although no city included in the 20-City Home Price Index had month-to-month home prices increases of one percent or more, there were some gains. According to the Case-Shiller 20-City Home Price Index for November, 12 cities posted month-to-month gains for home prices and eight cities saw home prices decline from October to November. San Francisco, which led year-over-year home price growth rates for November, posted a month-to-month gain of 0.10 percent. In spite of gloomy month-to-month readings for November home prices for cities included in the Case-Shiller 20-City Home Price report, overall signs of economic growth persist. In separate reports released Tuesday, The Department of Commerce reported that December sales of new homes rose by 11.60 percent year-over-year. 481,000 newly constructed homes were sold in December as compared to expectations of 455,000 new homes sold and November’s reading of 431,000 sales of new homes in November. 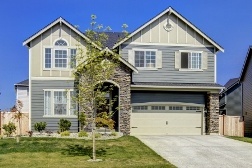 As warmer weather approaches, it’s likely that overall home sales will continue to increase. Stronger job markets, low mortgage rates and the possibility of relaxing mortgage standards likely contributed to a jump in consumer confidence for January. Consumer confidence increased from December’s index reading of 93.10 to 102.90, which was the highest reading since August 2007. Analysts had forecasted an index reading of 96.90 for January. Expectations of wage growth, which has been largely flat post-recession, were seen a significant contribution to January’s boost in consumer confidence. Renting a home is a good option for some, but buying a home just might be the best thing for you. When you rent a home, you send money to someone else every month in exchange for knowing that you can call on your landlord when the roof leaks, an appliance stops working or your bathroom faucet breaks. There are some big advantages to buying a house that will help you get out of your renting rut and focus more on your future. Did you know that when you rent a home, you help someone else build equity? Any changes that you make with your landlord’s approval puts money back in his or her pocket. Keeping the yard clean and taking care of routine maintenance builds equity in that property. When you buy a home of your own, you have the chance to build equity of your own, which you can use to obtain a loan later. When you rent a house, you cannot deduct the money you spend on your taxes. Though some states will let you make a small deduction based on the total amount you spend in rent each month, you cannot make any deductions on your federal taxes. When you buy a home, you can save with a few different types of deductions. The federal government lets you make a deduction if your home is worth more than what you currently owe on your taxes. If you purchased your first home, you can make a deduction in regards to your property taxes. You can also deduct money that you spend on some renovations and energy saving appliances. As long as you continue renting, you live in a home that belongs to someone else. Your landlord has final say over what you do and do not do. This often means that you cannot make repairs or significant changes without seeking approval first. Renting a home lets you put your personal touch on things. 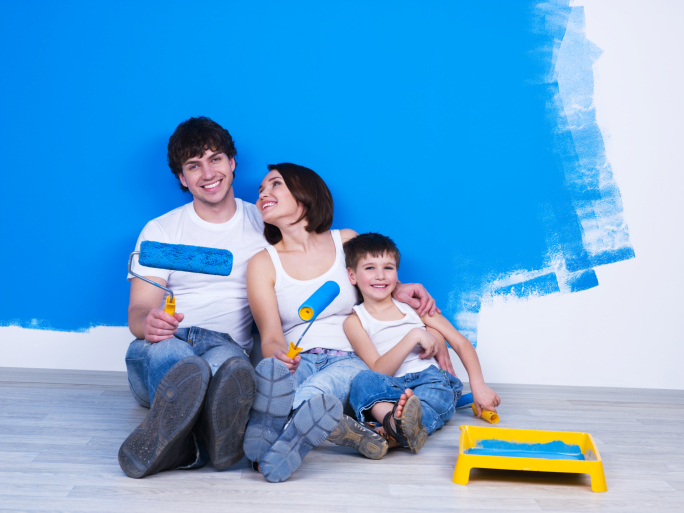 You can paint the walls any colors you want, rip out the carpet to add hardwood flooring or even make significant changes outside to turn your new home into your dream home. Now that you know more about the benefits of buying a home and how that purchase can get you out of the rental rut you’re in currently, turn to a real estate professional for assistance. Last week’s economic reports included the National Association of Home Builders Wells Fargo Housing Market Index, Housing Starts for December and the FHFA Home Price Index report for November. The National Association of Realtors® also released its Existing Home Sales report for December. Freddie Mac and the Department of Commerce released their weekly reports on mortgage rates and new jobless claims. The National Association of Home Builders (NAHB) reported that home builder confidence slipped by one point in January to an index reading of 57. This was not a significant decline as any reading over 50 indicates that a majority of builders are confident about current housing market conditions. January’s confidence reading remained close to a 2005 peak. Housing Starts rose in December to 1.09 million starts as compared to expectations of 1.04 million starts and November’s reading of 1.04 million housing starts according to the Department of Commerce. December’s annual reading reflected strong home builder confidence and was the highest for housing starts since 2007. Low mortgage rates and improving labor markets were seen as factors contributing to housing construction. The National Association of Realtors reported that sales of previously owned homes fell to 4.05 million in December, which fell short of 5.08 million expected sales and 4.93 million sales of existing homes in November. Analysts were puzzled at the first drop in sales volume for existing homes since 2010. Low mortgage rates, job growth and the possibility of less restrictive mortgage requirements were cited by analysts as factors that should have fueled sales of existing homes and should continue to boost home sales as more home buyers enter the market. FHFA reported that prices of homes associated with Fannie Mae and Freddie Mac mortgages rose 5.30 percent year-over-year in November. This was an increase of 0.90 percent over October’s year-over-year reading of 4.40 percent. Mortgage rates dropped across the board according to Freddie Mac. The average rate for a 30-year fixed rate mortgage fell by three basis points to 3.63 percent with discount points higher at 0.70 percent. The average rate for a 15-year mortgage was five basis points lower at 2.93 percent and discount points higher at 0.60 percent. The average rate for a 5/1 adjustable rate mortgage dropped by seven basis points to 2.83 percent with discount points unchanged at an average of 0.40 percent. Weekly jobless claims fell from the prior week’s reading of 317,000 new claims filed to 307,000 new claims filed. Analysts had expected a reading of 298,000 new jobless claims filed. Analysts noted that this was the third consecutive reading above 300,000 new jobless claims since July, but the higher readings were attributed to layoffs of seasonal holiday workers. Case-Shiller will release its composite home price index reports; new home sales, consumer confidence and consumer sentiment reports are scheduled along with a customary statement from the FOMC at the conclusion of its January meeting. The National Association of Homebuilders (NAHB) Wells Fargo Housing Market Index reported that homebuilder confidence in sales conditions for single-family homes declined one point to a reading of 57. The NAHB Housing Market Index measures home builder confidence based on builder opinions of current market conditions, future market conditions and buyer foot traffic in new homes. January’s index reading of 57 was one point below December’s reading of 58. Any index reading above 50 indicates that more home builders are confident about housing market conditions than not. January’s reading was the seventh consecutive reading above 50. NAHB said that builder confidence in future market conditions slipped by four points to a reading of 60; builder confidence in current housing market conditions was unchanged at a reading of 62 and the reading for buyer foot traffic fell two points for a January reading of 44. David Crowe, NAHB chief economist, cited improving labor markets, stronger economic conditions and higher consumer confidence as factors that contributed to January’s reading. In addition, analysts said that certain economic trends including higher rents and low mortgage rates may compel more renters to buy homes. Although pent-up demand contributed to buyer interest in recent months, restrictive mortgage credit policies are seen as a deterrent to higher sales volume. Builder confidence in home sales conditions would likely improve if the government can ease lender concerns about providing mortgages to buyers who don’t have strong credit scores. In spite of strong builder confidence, there’s plenty of room for improvement in markets for new single-family homes. As of November, the sales pace for new homes was approximately 41 percent below the average pace for the last 20 years; housing starts for the same period were approximately 24 percent below the average for the prior 20 years. The Department of Commerce reported that housing starts were 24 percent below the 20 year average. This suggests that while borrowers are confident in housing market conditions overall, they may be taking a conservative approach on building new homes until more buyers enter the market. 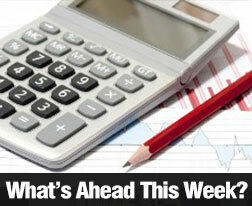 This week’s upcoming housing-related reports will help determine the overall climate for housing market growth. Existing home sales and housing starts for December will be released along with FHFA’s home price report for November. Positive labor market ratings continued to show evidence of strengthening economic conditions. The Federal Reserve’s Labor Market Conditions Index rose from November’s revised reading of 5.50 to December’s reading of 6.10. This index measures 19 economic indicators and rose well above its median reading of 1.90. November’s reading was the highest since May. The Fed does not comment on month-to-month readings for this index. Job openings increased from November’s reading of 4.80 million to December’s reading of 5.00 million in according to the federal government. Weekly Jobless Claims jumped to 316,000 as compared to the expected reading of 295,000 new claims and the prior week’s reading of 297,000 new jobless claims. Analysts said that some volatility in new unemployment claims are expected in the aftermath of the holiday season and noted that the latest reading was the highest since September. Freddie Mac reported lower average rates across the board. The average rate for a 30-year fixed rate mortgage fell by seven basis points to 3.66 percent; the average rate for a 15-year fixed rate mortgage also fell seven basis points to 2.98 percent. The average rate for 5/1 adjustable rate mortgages dropped by eight basis points from 2.98 to 2.08 percent. Discount points for a 30-year fixed rate mortgage were unchanged at 0.60 percent, while average discount points for a 16-year mortgage dropped to 0.50 percent from the prior week’s reading of 0.60 percent. Discount points for 5/1 adjustable rate mortgages averaged 0.40 percent as compared to the prior week’s average of 0.50 percent. Lower mortgage rates help increase affordability and support home purchases by first-time and moderate income homebuyers. Retail Sales for December dropped by -0.90 percent against expectations of -0.20 percent and November’s reading of +0.40 percent. December’s reading for retail sales except autos was lower by-0.10 percent as expected against November’s reading of +0.40 percent. Last week ended on a positive note with the January reading for the Consumer Sentiment Index beating the expected reading of 95.0 with a reading of 98.20. December’s reading was 93.60. 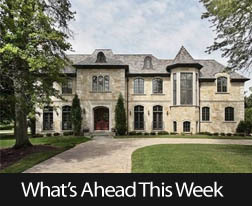 This week’s economic reports include the National Association of Home Builders (NAHB) Housing Market Index, Housing Starts, The National Association of Realtors® Existing Home Sales report, FHFA Home Prices and Leading Economic Indicators. Freddie Mac’s mortgage rates reports and weekly jobless claims will be released as usual. In the cold winter months, you’ll probably want to be outside enjoying the snow when you get a chance – perhaps building a snowman or having a snowball fight with the kids. However, you’ll get cold, and you’ll want to come inside to your well-heated home. While you may have dealt with insulating your attic, walls and other areas of your home, if you’ve neglected your windows you may find that they become a source of very cold drafts. In today’s blog post we’ll share a quick three-step guide to weatherizing your windows which will keep you warmer and help to prevent wasted energy and high heating bills. The first step to weatherizing your windows is to check for spaces in between the window frames and the windows. You can often see any gaps clearly as they will allow you to see straight outside. If you’re dealing with small gaps you can use caulking as a temporary solution. If you’re dealing with larger gaps, you’ll want to have professionals come in to repair or rebuild the wall. If you have windows that can be open and closed, you’re going to need to check these to ensure they seal tightly and that the weather-stripping hasn’t worn away. Weather-stripping is typically sold in rolls, and most types have at least one adhesive side so that you can quickly apply it to your windows and frames. Note that there are different types of weather-stripping on the market, so be sure to purchase a type that will work with your windows. The window panes themselves can be used to your advantage. On sunny winter days, you can open the windows and let the sunshine in to warm up your home. At night, close the curtains or blinds to help make a sort of insulation to keep out the cold. The thicker the curtains or drapes are, the more they will help insulate your home and prevent heat loss through your windows. 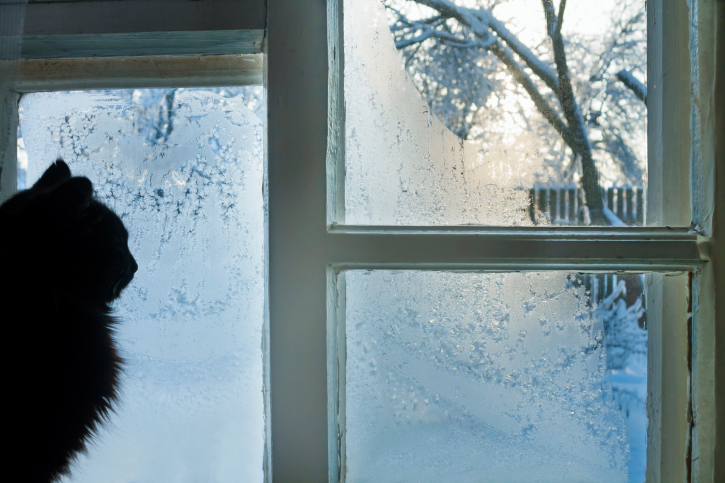 The benefits of weatherizing your windows will serve you well past this winter if done right. Don’t forget that doing the opposite with curtains or blinds in the summer will help keep your home cool, and the value of a house goes up when these kinds of details are covered. 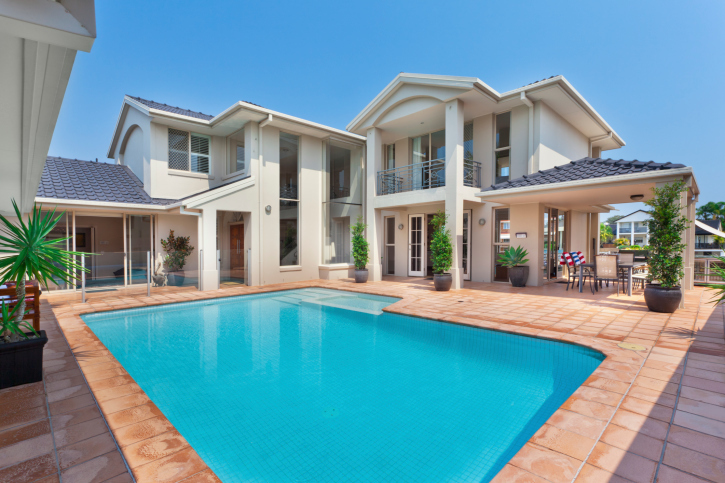 When you’re ready to sell your home, be sure to contact your local real estate agent and they’ll be happy to assist. Some people try to apply for as small of a mortgage payment as they can reasonably afford to, and there is some prudence associated with this line of thinking. After all, recent economic events have shown that those who get over-extended may wind up in a dire financial situation. However, there are also benefits associated with a higher mortgage and buying a slightly larger home if you can comfortably afford to do so. For example, the rate of growth on equity will typically be more significant, and there are tax deductions and tax advantages that may be greater. If you are preparing to take on a larger mortgage payment that is reasonably manageable for you, you may do so with greater confidence when you follow a few tips. The best way to ensure that your larger mortgage payment is still affordable for your budget is to reduce your debts. When you think about the difference between carrying $800 per month in credit card payments or the equivalent in a higher mortgage payment, you will see that the benefit lies in the mortgage payment. The credit card payments typically will be mostly interest that has no benefit to you. The mortgage payment is building equity through principal reduction on an asset, and the interest has tax benefits to you. However, you want that extra $800 per month in payments to be affordable. If possible, pay off or greatly reduce your credit card debt before you take on a new mortgage. In addition, close most existing credit card accounts so that you do not accumulate additional debt while you are responsible for the higher mortgage payment. Then, increase your personal savings if necessary. The best budget with a higher mortgage payment is one that still allows you to save money regularly. If you are unable to save with your higher mortgage payment, there is a good chance that you may be taking on a little too much debt for what you can afford. Ideally, you will have at least three to six months worth of your expenses on hand in cash and available to access in a worst-case financial situation. You will be able to sleep easier at night with your higher mortgage payment when you have the extra cash available to support yourself in the event of job loss, serious illness or other related events. Your higher mortgage payment may help you to live in a nicer, larger home, to enjoy better tax deductions and to build equity at a faster rate. However, you want your mortgage payment to be affordable. By following these tips, you can confidently take on the larger payment.